Need a healthy side dish full of fall flavors? 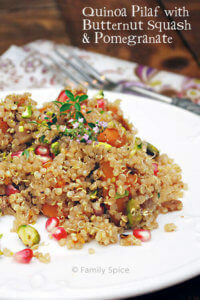 Then you will enjoy this Quinoa Pilaf with Butternut Squash and Pomegranate. My hubby is traveling on business. I have three kids. I have a king-size bed. When Hubby is gone, the three kids fight over who gets to sleep with Mommy in her big comfy, select-comfort bed that she loves so much. Sometimes we settle it like human beings, rotating who gets the honor. Many times there are arguments, tears and fights. Usually, they all fall asleep in my bed and then I sneak the lightest kid back to his/her bed. Occasionally, I leave all three there and then I go sleep in one of the kids’ beds. Last night, the Princess got the boot. But she avenged herself by showing up at 5:45 this morning and squeezing her little body into the crowded bed, right next to me. She spent the next 30 minutes squirming and wiggling until I surrendered, kicked her out and got up to start my day. 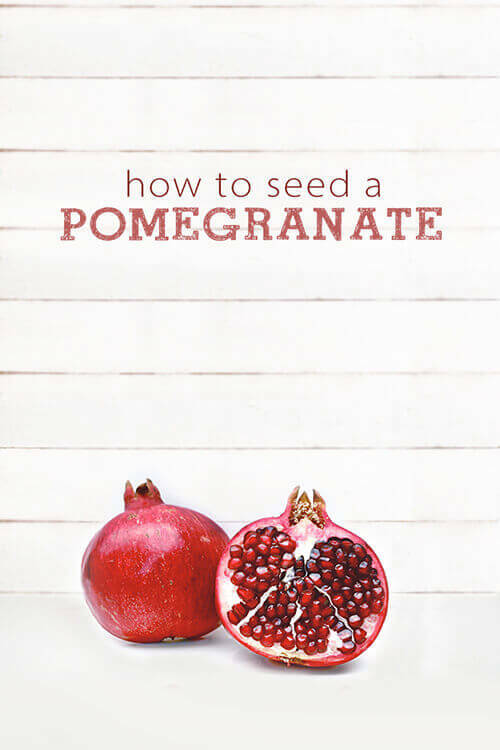 On the food front, there is good news: Pomegranate season is upon us! My family adores pomegranates. Must be our middle-eastern blood. And after last year’s experiments with pomegranates, I’m thrilled to have another go with this ruby-red fruit. Butternut squash, pomegranate syrup, pistachios and pomegranate arils. The hubby and I couldn’t get enough of it. You could even substitute squash with pumpkin – not the purée, but the real thing. I love quinoa. Super healthy. Gluten-Free. A complete protein source. Serve something healthy, but full perfect for the Fall season this Halloween. Return to boil, then cover pot and reduce heat to simmer. Continue simmering until quinoa is cooked, approximately 12-15 minutes. Sauté vegetables until they start to brown, then reduce heat to medium, approximately 10 minutes. Bring to a a boil and cook for 5 minutes, until squash is fork tender and liquid is reduced. Remove from heat. When quinoa is done, fluff with a fork and pour into a large mixing bowl. Gently mix in the squash mixture with the quinoa. I love quinoa! Yum..What a great recipe! can't wait to try it! This looks fabulous! 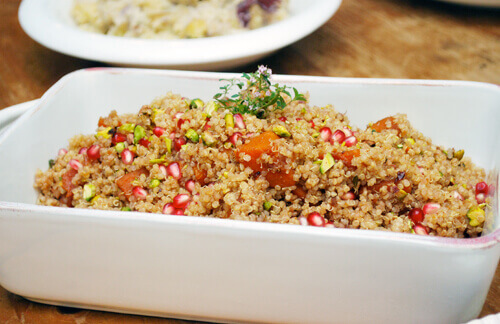 I'm always on the hunt for new quinoa recipes – mixing it with Butternut Squash and Pomegranate – I'm sold! I've just discovered quinoa recently and have fallen in love with it so I'm always on a lookout for new recipes! Thanks for sharing! 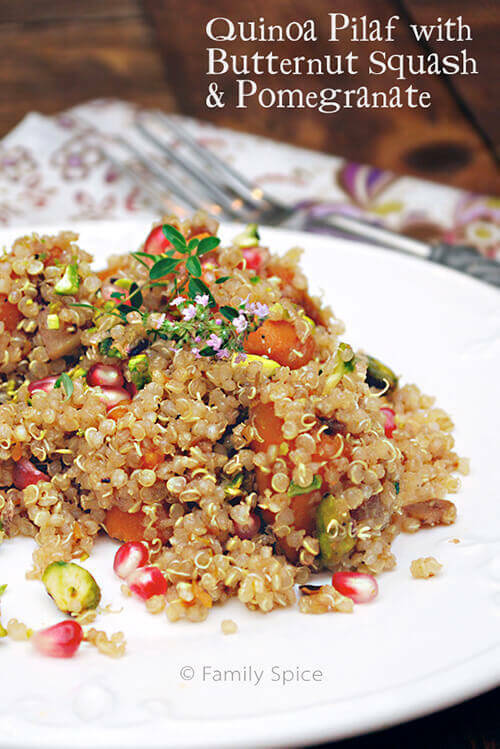 this looks very interesting; I've been wanting to make more quinoa. thx!! What a great flavor combination! I've only made quinoa once, but I'm ready to have some more! 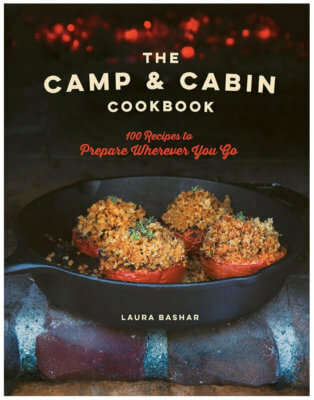 Wonderful recipes you have here, glad to have found you through YBR! Laura your post has me giggling at the mental picture of all the kids fighting over your bed 🙂 I love quinoa and frankly it's so refreshing to see it prepared this way. I find most other recipes somewhat boring. But you've really outdone yourself!